Today the sun is shining during my commute home from work. But this weekend, public service announcements will remind us to “fall back,” ending daylight saving time (DST) by setting our clocks an hour earlier on Sunday, Nov. 6. On Nov. 7, many of us will commute home in the dark. This semiannual ritual shifts our rhythms and temporarily makes us groggy at times when we normally feel alert. Moreover, many Americans are confused about why we spring forward to DST in March and fall back in November, and whether it is worth the trouble. The practice of resetting clocks is not designed for farmers, whose plows follow the sun regardless of what time clocks say it is. Yet many people continue to believe that farmers benefit, including lawmakers during recent debates over changing California DST laws. Massachusetts is also studying whether to abandon DST. Changing our clocks does not create extra daylight. DST simply shifts when the sun rises and sets relative to our society’s regular schedule and routines. The key question, then, is how people respond to this enforced shift in natural lighting. Most people have to be at work at a certain time – say, 8:30 a.m. – and if that time comes an hour earlier, they simply get up an hour earlier. The effect on society is another question, and there, the research shows DST is more burden than boon. Benjamin Franklin was one of the first thinkers to endorse the idea of making better use of daylight. Although he lived well before the invention of light bulbs, Franklin observed that people who slept past sunrise wasted more candles later in the evening. He also whimsically suggested the first policy fixes to encourage energy conservation: firing cannons at dawn as public alarm clocks and fining homeowners who put up window shutters. To this day, our laws equate daylight saving with energy conservation. However, recent research suggests that DST actually increases energy use. This is what I found in a study coauthored with Yale economist Matthew Kotchen. We used a policy change in Indiana to estimate DST effects on electricity consumption. Prior to 2007, most Indiana counties did not observe DST. By comparing households’ electricity demand before and after DST was adopted, month by month, we showed that DST had actually increased residential electricity demand in Indiana by 1 to 4 percent annually. The largest effects occurred in the summer, when DST aligns our lives with the hottest part of the day, so people tend to use more air conditioning, and late fall, when we wake up in the dark and use more heating with no reduction in lighting needs. Other studies corroborate these findings. 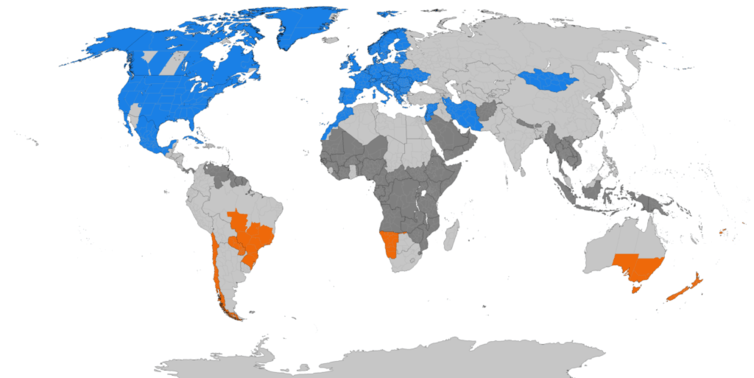 Research in Australia and in the United States shows that DST does not decrease total energy use. However, it does smooth out peaks and valleys in energy demand throughout the day, as people at home use more electricity in the morning and less during the afternoon. Though people still use more electricity, shifting the timing reduces the average costs to deliver energy because not everyone demands it during typical peak usage periods. DST proponents also argue that changing times provides more hours for afternoon recreation and reduces crime rates. But time for recreation is a matter of preference. There is better evidence on crime rates: Fewer muggings and sexual assaults occur during DST months because fewer potential victims are out after dark. So overall, the net benefits from these three durational effects of crime, recreation and energy use – that is, impacts that last for the duration of the time change – are murky. Other consequences of DST are ephemeral. I think of them as bookend effects, since they occur at the beginning and end of DST. When we “spring forward” in March we lose an hour, which comes disproportionately from resting hours rather than wakeful time. Therefore, many problems associated with springing forward stem from sleep deprivation. With less rest people make more mistakes, which appear to cause more traffic accidents and workplace injuries, lower workplace productivity due to cyberloafing and poorer stock market trading. Even when we gain that hour back in the fall, we must readjust our routines over several days because the sun and our alarm clocks feel out of synchronization. Some impacts are serious: During bookend weeks, children in higher latitudes go to school in the dark, which increases the risk of pedestrian casualties. Dark commutes are so problematic for pedestrians that New York City is spending US$1.5 million on a related safety campaign. And heart attacks increase after the spring time shift – it is thought because of lack of sleep – but decrease to a lesser extent after the fall shift. Collectively, these bookend effects represent net costs and strong arguments against retaining DST. Spurred by many of these arguments, several states are considering unilaterally discontinuing DST. The California State Legislature considered a bill this term that would have asked voters to decide whether or not to remain on Pacific Standard Time year-round (the measure was passed by the State Assembly but rejected by the Senate). On the East Coast, Massachusetts has commissioned research on the impacts of dropping DST and joining Canada’s Maritime provinces on Atlantic Time, which is one hour ahead of Eastern Standard Time. If this occurred, Massachusetts would be an hour ahead of all of its neighboring states during winter months, and travelers flying from Los Angeles to Boston would cross five time zones. These proposals ignore a fundamental fact: Daylight saving time relies on coordination. If one state changes its clocks a week early, neighboring states will be out of sync. Some states have good reason for diverging from the norm. Notably, Hawaii does not practice DST because it is much closer to the equator than the rest of the nation, so its daylight hours barely change throughout the year. Arizona is the sole contiguous state that abstains from DST, citing its extreme summer temperatures. Although this disparity causes confusion for western travelers, the state’s residents have not changed clocks’ times for over 40 years. In my research on DST I have found that everyone has strong opinions about it. Many people welcome the shift to DST as a signal of spring. Others like the coordinated availability of daylight after work. Dissenters, including farmers, curse their loss of quiet morning hours. When the evidence about costs and benefits is mixed but we need to make coordinated choices, how should we make DST decisions? 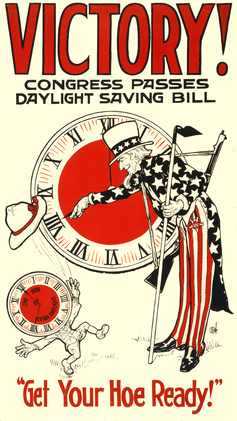 When the California State Senate opted to stick with DST, one legislator stated, “I like daylight savings. I just like it.” But politicians’ whims are not a good basis for policy choices. The strongest arguments support not only doing away with the switches but keeping the nation on daylight saving time year-round. Yet humans adapt. If we abandon the twice-yearly switch, we may eventually slide back into old routines and habits of sleeping in during daylight. Daylight saving time is the coordinated alarm to wake us up a bit earlier in the summer and get us out of work with more sunshine.